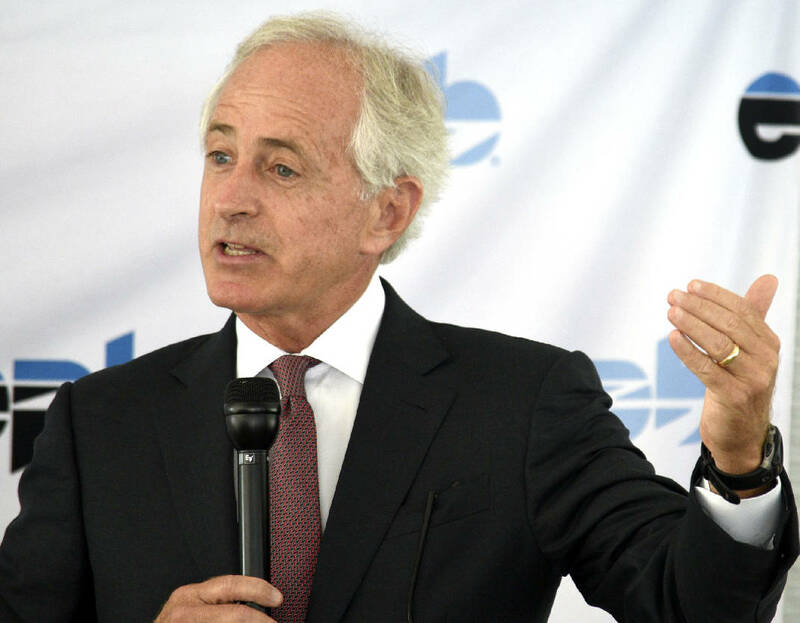 Some Hamilton County leaders say they're disappointed with Sen. Bob Corker's decision to not seek re-election. On Wednesday, several members of the Hamilton County Commission praised the two-time Tennessee Republican senator from the dais, including Democrats Warren Mackey and Greg Beck. "I've reached out to him — and I hope others do — and asked him to stay in Washington, D.C., to provide a certain amount of levity to what's going on in that dysfunctional city," Mackey said. 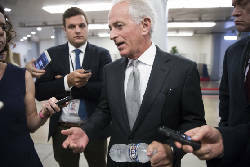 Mackey promised to make the first contribution to Corker's re-election campaign if he changes his mind. "I was almost brought to tears when I heard the announcement yesterday, that Sen. Corker had decided not to run again," Beck said. "Sometimes you have to step out to step up, so maybe I can go out on a limb right now and say 'Bob Corker for President.'" Commissioner Joe Graham said he would reach out to Corker, adding he had provided "stability in Washington." 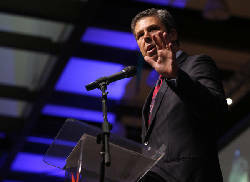 "He has represented us like a statesman," Graham said. "He represents us well." They shared their personal experiences — some going back decades — with Corker, describing him as a generous "everyday guy" who began serving his community long before he entered a life in politics. "I don't know whether he cares or wants to stay involved in politics or even be president, but I'm assured he's still going to make a huge impact on people's lives," Mayor Jim Coppinger said. "I can rest assured that we're fortunate that he lives in this community and he's somebody that's going to continue to give to this community in whatever way he chooses to do that."